Have you been looking for your next car but are finding that your budget won’t quite stretch to cover your dream motor? You could consider a car finance agreement, which will enable you to pay in installments over the course of a number of months rather than buying a vehicle outright. 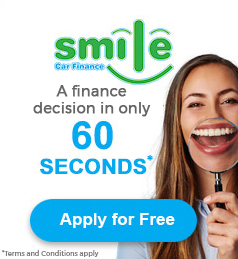 Ron Skinner and Sons has helped many customers in Wales to secure an affordable deal, so if you are looking for car finance in Carmarthen, pay us a visit at our dealership in Neyland, around an hour’s drive away, where our team will help you discover the perfect car at the right price. Our partnerships with leading finance providers allows us to offer flexible car finance, even for customers with bad credit. We will work with you to make sure that you will secure a plan that you will be able to afford. From hire purchase, to personal contract purchase, we offer car finance tailored around your needs and budget. As we have formed a wide network of lenders, we can provide some of the most competitive rates in the country. We pride ourselves in making it possible for car buyers in Carmarthen to afford their ideal vehicle, whatever their circumstances. Make your way to Ron Skinner and Sons today, where our dedicated car finance team will be happy to give you any advice and support you need when searching for the perfect agreement. Or, alternatively, submit an online application form and hear back from us in a minute!